When it comes to Subarus, I take a backseat to no one. In the last 15 years my wife and I have owned five of them (even a Baja) and have liked them all. Subarus are reliable, good to great handling small cars that get you where you need to go in almost any weather. Maybe the gas mileage wasn’t anything to shout about but it was good enough and the Subies made up for it in performance and reliability. Now, for the first time, Subaru plans to offer a hybrid. In the Fall of 2014 Subaru is going to release a hybrid version of the XV CrossTrek. The hybrid version will cost at least $3,000 more than the base version XV CrossTrek and, according to the EPA will get a whopping 4 miles per gallon more in the city. Really?!? 4 miles per gallon?!? At least on the highway the hybrid gets better mileage than the non-hybrid. Oh, wait, it doesn’t. The hybrid XV CrossTrek gets the same 33 miles per gallon on the highway as the non-hybrid version. Okay, maybe I went a little overboard with the snark in the previous paragraph but I truly don’t get it. 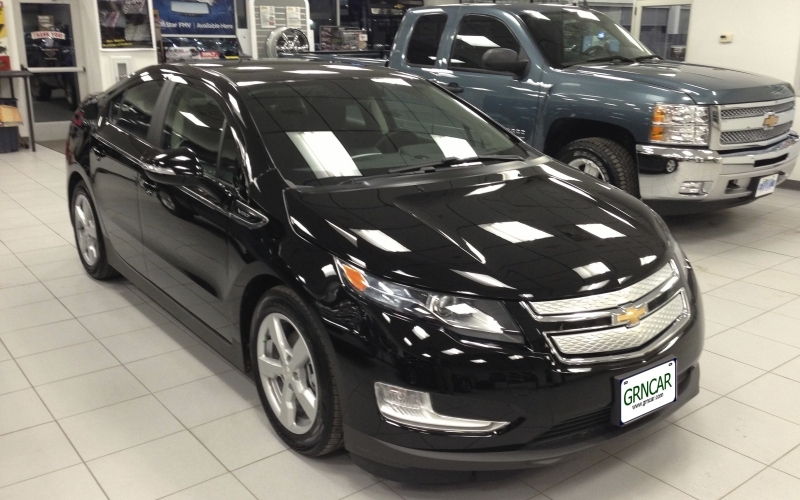 Why build a hybrid that only gets 4 miles per gallon more in the city than the non-hybrid version of the same vehicle? Honda tried it with the first generation Accord Hybrid and it didn’t work out too well for them. The first Accord Hybrid was rated 25 city, 34 highway — only slightly better than the 4-cylinder non-hybrid Accord — and In only three years it was no more. But I digress. There must be some justification for the CrossTrek Hybrid and with a little digging I found it. The hybrid version of XV CrossTrek has one thing the non-hybrid is lacking — power. One of my major complaints when driving the non-hybrid CrossTrek was it’s lack of get up and go. The hybrid CrossTrek delivers 160 horsepower @ 6000 RPM compared to 148 hp @ 6200 for the non-hybrid version. More importantly, the hybrid provides 163 lb-ft of torque @ 2000 RPM compared to 145 lb-ft. @ 4200 RPM. Generally speaking, more torque at lower RPMs is a good thing and should make the XV CrossTrek Hybrid much more pleasant to drive. And, while the hybrid XV CrossTrek’s MPG doesn’t begin to compare with vehicles like the Toyota Prius, it is still better any other all-wheel drive vehicle. Plus, when you compare the cost of similarly sized vehicles from other manufacturers, the XV CrossTrek Hybrid isn’t all that much more expensive. Quick Comparison Table – The XV CrossTrek Hybrid versus two comparably equipped competitors. 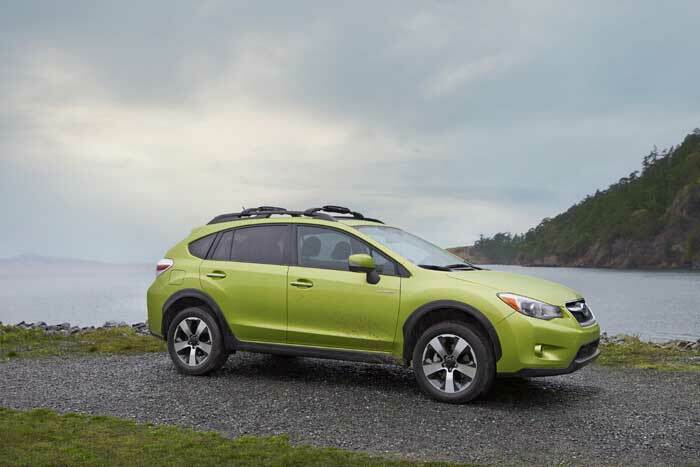 The XV CrossTrek Hybrid is available as two models, the Hybrid and Hybrid Touring. To Subaru’s credit the base model is pretty well equipped. 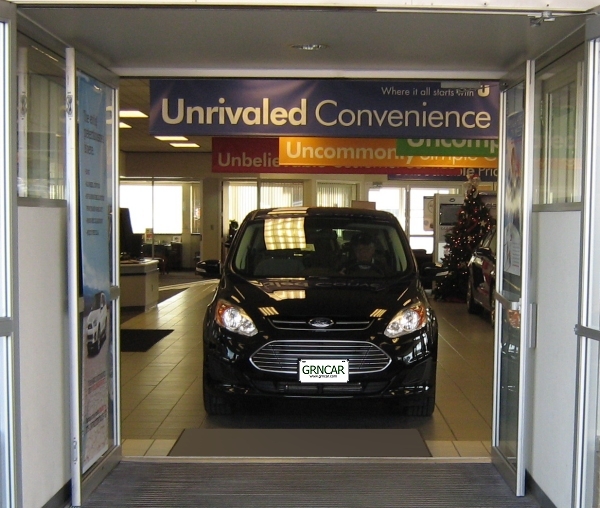 In addition to the standard items you would normally expect such as air-conditioning and power windows, the base model has as standard: heated front seats, 17″ alloy wheels, fog lights, and a rear-view camera. TheXV CrossTrek Hybrid will also be available in a Touring edition. The Touring edition adds leather-trimmed upholstery, GPS navigation, and a 6-speaker sound system with HD radio. The bad news is the Touring edition also adds about $3,500 dollars to the sticker price. Maybe the XVCrossTrek Hybrid will work out for Subaru and maybe not, certainly I have no crystal ball (after all I thought the Baja was a pretty good idea). However, I can’t help but think most people will choose the non-hybrid XV CrossTrek over the hybrid version and save themselves $3,000. They may even choose the XV CrossTrek with a 5-speed manual transmission and save another thousand. Or, they may decide to save some real money and buy the Impreza that the XV CrossTrek is based on. The Impreza doesn’t have the high ground clearance of the CrossTrek or some of the trim features, but a 2014 Subaru Impreza with automatic transmission starts at only $20,190 including the destination fee. Last of all, if Subarus don’t trip your trigger there are some other small all-wheel drive vehicles you may want to consider. The redesigned Nissan Rogue is worth a look as is the Mazda CX-5. If you want to have a little more excitement in your daily drive the Nissan Juke and the MINI Countryman are both available with all-wheel and are worthy of consideration.